I was born at the Devil’s Dyke hotel on 26th June 1923 and, although my father was the hotel manager, it was a strict rule that, as children, we were never allowed in to the hotel. However, when there was noone about we would sneak in, just to see what was going on. At the time, the hotel was regarded as a grand place, although it was lit with oil lamps and as children we had to take one of these or a candle to light our way to bed – something we found quite scary! There was a public bar, a saloon bar, a smoking room, a ladies room and my mother ran a tearoom at the western end of the hotel. It was very popular and people arrived in charabancs (forerunners of today’s coaches). These were quite a sight: they had solid tyres, every row of seats had its own door, the roof could be opened by the driver turning a handle (an exercise that took some five minutes to complete) and they had carbide headlamps. One event I remember well was a visit by the Duke of York [later King George VI] who, to mark his visit, ceremoniously unveiled a seat at the top of the steep, north slope of Devil’s Dyke. At the age of five, I started to attend school. The nearest school was at Poynings and my sister Irene was already a pupil there and so she was very happy to take me along with her. There were three different ways to Poynings school from the Dyke and we nicknamed them Bridle, Chalky, and Grassy. Bridle path was a very gentle descent around the south side of the hotel. The Chalky and Grassy paths went down from the north side and when it was wet they were very slippery. It took us about half an hour to make our way to the foot of the Downs and then walk through Poynings village to the school. After school, the climb back up the hill took three quarters of an hour and was far more difficult (as you can imagine) and in winter it was dark by the time we got home. A few years later when my brother Vernon turned five there were three of us making the trip. The hotel was situated on its own, at the top of the Downs and there were no other children to play with so we had to think of things to do. Father made us a sledge and sure enough, on dry days, it slid down the steep sides of the Downs very well, but not as fast as when the ground was covered with snow. Nevertheless, it was sufficient for us and by repeatedly using the same track it gradually became faster. Father also made kites for us. These were not very sophisticated (unlike modern ones), but by carefully assembling squares of lightweight cloth to crossed sticks (diagonally from corner to corner) and attaching tails to stabilise them, they flew very well in the wind that always seemed to be blowing along the top of the Downs. Otherwise, we had bats and balls and with a few stumps in the ground made out that we were playing cricket and the old favourite game of ‘hide and seek’ was always a popular pastime. Looking back they were very happy days. We always found something to do, never upset each other and were a very happy family. Saturday was always shopping day. 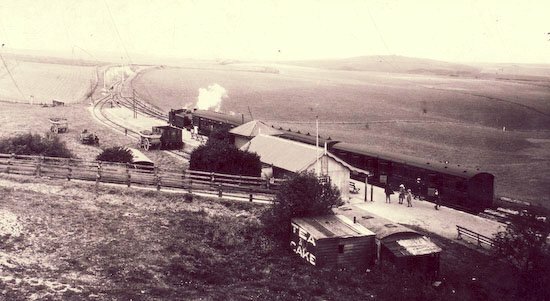 We would walk to the Dyke Railway Station at about 8.30am — which was much easier than walking to school and more exciting. Mother’s return fare was eight pence and a return ticket for each child was four pence. The journey to Brighton took thirty minutes and as we got nearer to Brighton it became more exciting as we had each been promised a toy of some description. I wasn’t Mother’s pet but she knew that I wanted an aeroplane, that Irene wanted a doll, and that Vernon was happy to take ‘pot luck’. My father was very strict, being a retired Army man who had served years in India, but we were a very happy family. I feel we were very fortunate to have lived at the hotel, with the fresh air and sunshine in summer and the snow in the winter. 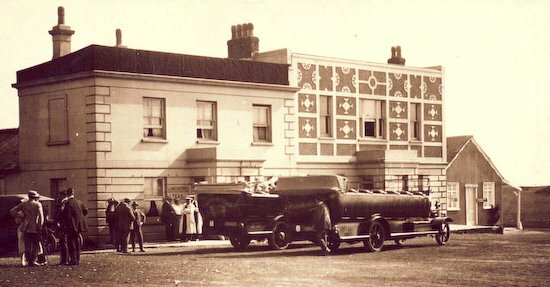 When the Dyke Hotel was taken over by another brewery (I cannot remember the date this happened), we were obliged to move. My father found Yew Tree Cottage in Fulking, which had no electricity (there was no electricity anywhere in Fulking at the time). 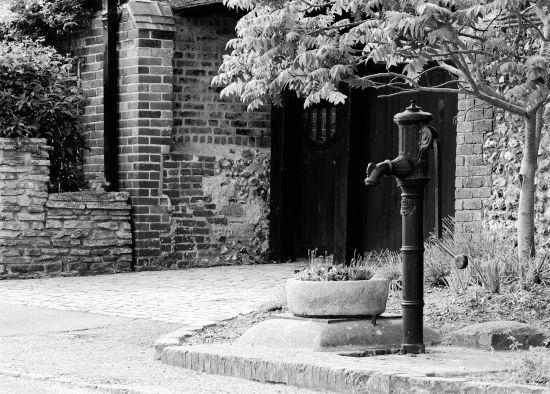 There were two hand pumps on The Street and we got our water from the one outside Fulking Farmhouse. The other pump was where the telephone kiosk now is and there was a drinking fountain opposite Laurel House. We soon settled in and my father then found work at the Royal Oak at Poynings with a Miss Gravette who was the licensee. Once again we walked to Poynings School, but walking along the road was much better than climbing up and down to the top of Devil’s Dyke. I finished school at 14 years of age and started work in the local store and post office in Fulking for Mr. Percy Lucas. My duties included serving in the shop, delivering bread and collecting orders from the houses and I continued doing this until I joined the RAF. War broke out in 1939 and my father rejoined the army almost immediately. I volunteered for the RAF at the age of 17, my sister joined the Army Training Services (ATS) and later, my brother Vernon was called up for the navy. Meanwhile, mother was then living at home with the newest and youngest member of the family — Gordon, who was born in Fulking. Eventually, I received my call up papers and a rail pass to Manchester, where I did my square-bashing. My first posting was to Blackpool to complete a Wireless Operator’s course and having finished that, I was posted to Bircham Newton in Norfolk. Three months later I was sent to Iceland and was based there for two years, returning in March 1944. In August 1944 I was sent to France and stayed there till the end of the war. Following my discharge from the RAF, I returned to France as a representative for British Petroleum (BP) and there I married a French girl I had met during my war service there. I was given a privileged residence Identity Card and stayed there for a few years. Later I obtained my pilots license and purchased my own plane, a Druine Turbulent, single seater, with a top speed of 85 knots. 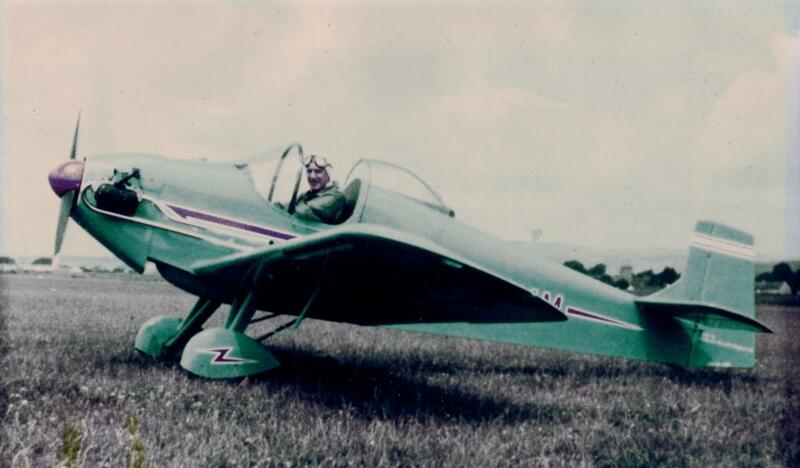 For some 26 years, I flew this regularly between France and a small private airstrip at Golden Cross in East Sussex. 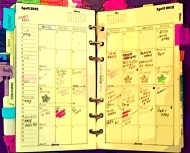 Corrected April 2016: date of Ken Browne’s death, with one other amendment. 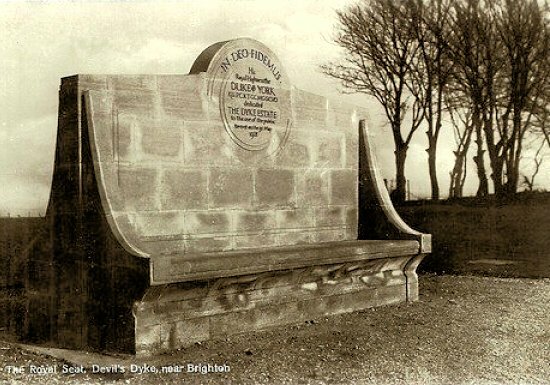 This entry was posted in Children, Devil's Dyke, Local History, Poynings, Sport and Recreation. Bookmark the permalink.